Cream the butter and sugar, beat in the egg, salt, peppers and orange zest, then mix in the flour and chopped nuts. Add milk if required to loosen mix if it is too dry. Form into flat discs (this makes two 8 inch tarts) and press into a lined loose-bottomed flan dish or spring cake tin. Glaze with eggwash mixed with a little milk. Bake for 15 mins at 180C until golden. Allow to cool thoroughly in the tin. .Melt 375g of good quality 70% chocolate in a bain-marie with 60g of butter and 30g of honey. Beat in about 400ml of double cream or whipping cream. 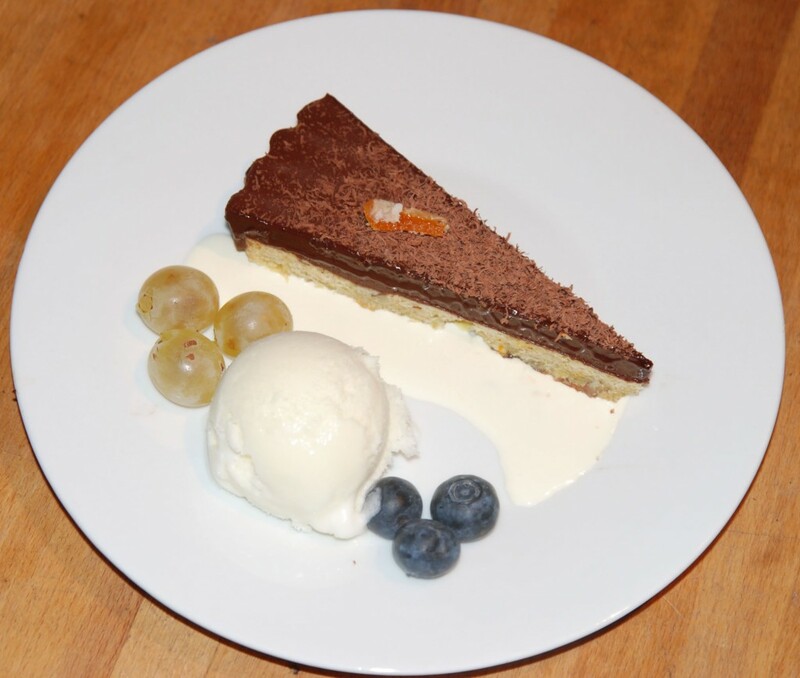 Using a palette knife, fill the flan dishes and make the surface smooth and flat. Leave to cool for 20 minutes in the fridge. 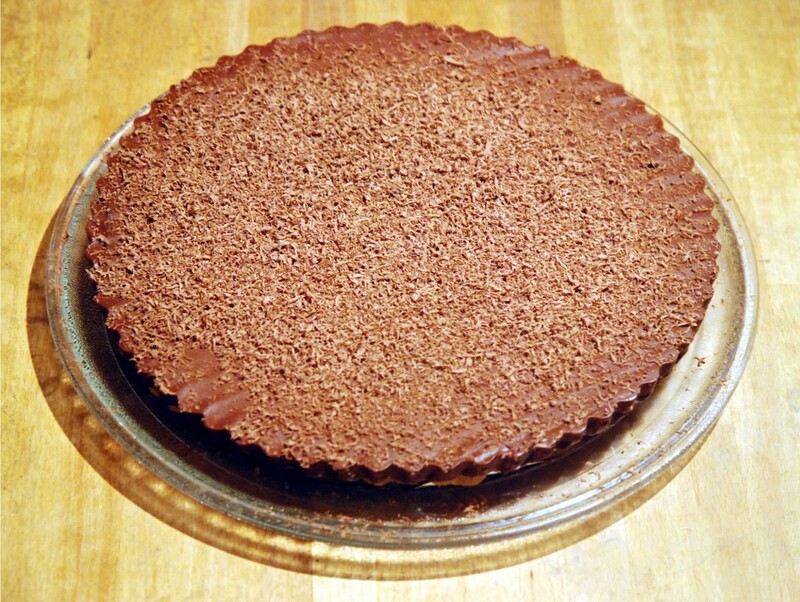 Grate chocolate (dark, milk or white) evenly over the tart using a fine microplane. Chill for at least 4 hours. Cut using a hot knife. This entry was posted in Desserts by smithn. Bookmark the permalink.